Right Med offers a wide selection of affordable and quality laboratory consumables, from Blood Collection Tubes, Micro Pipettes, Micropipette Tips, RIA vials, Petri Dish (Sterile), Urine Containers (Sterile),Microcentrifuge Tubes,Microscope Slides, Microscope Cover Glass and other consumables. All of our laboratory consumables are made of high quality materials and could be useful in a number of laboratory applications. With the help of our diligent and dexterous professionals, we are offering a comprehensive range of Disposable ESR Pipette to the honorable patrons. 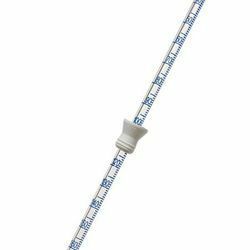 Designed & developed in complete compliance with the international quality standards & norms, these pipettes are widely used in the ESR (erythrocyte sedimentation rate). These pipettes are manufactured using excellent quality raw material, which is procured from the reliable vendors of the market. 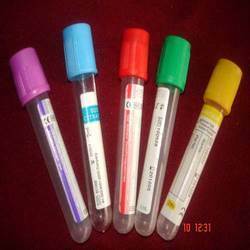 Leveraging on our years of experience and in-depth knowledge of this domain, we are offering a quality-assured Non Vacuum Blood Collection Tube to prestigious clients. Manufactured using excellent quality raw material, these non vacuum blood collection tubes is transparent and crack-resistant. 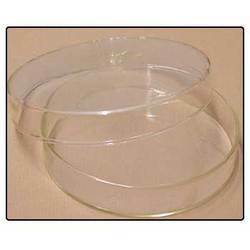 In order to meet the diversified expectations of our most valued patrons, we are offering them Petri Dish Sterile. We fabricated this product with qualitative raw material in accordance with the international quality standards. It is highly reliable for longer service life and therefore; found its wide applications in pathology labs and blood banks for diversified purposes. Owing to its ability to tolerate repetitive autoclaving, it is highly coveted in the market and appreciated by the clients. 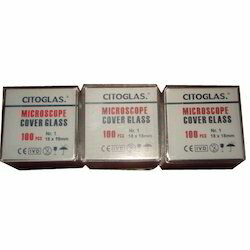 To fulfill the exact requirements of our esteemed clients, we are offering them a wide range of Microscope Cover Glass. In order to make it comply with the international quality standards, we fabricate it with ultra grade glass. This cover glass efficiently protects from the dust, dirt and cause no color distortion. Furthermore, we are availing this product within affordable price range with assurance of timely delivery direct at client's premises. Our domain expertise has enabled us to come up with a comprehensive range of quality-assured Microcentrifuge Tubes,which is manufactured using medical grade polypropylene and advance technology. 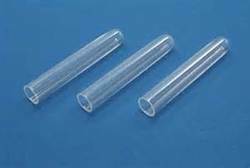 The offered range of microcentrifuge tubes are available with us in various sizes such as 0.2 ml, 1.5 ml and 2.0 ml. to suit the exact requirement of clients. Offered microcentrifuge tubes are dimensionally accurate and highly resistant to most of the chemical reagents. 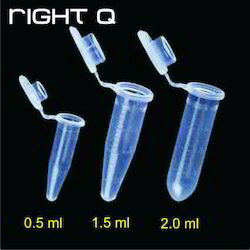 We have emerged in offering our valuable customers a comprehensive range of premium quality Ria Vial. 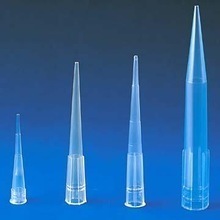 Offered range of vial is manufactured by expert professionals using excellent quality polypropylene/polystyrene, which is procured from the reliable vendors of the market. Commonly used in RIA, offered pp tubes are resistant to common alkalis, acids & solvents at room temperature. Looking for Laboratory Plastic Consumables ?